This simple salad goes down a treat on a warm summer’s day. It is quick to make and offers a delightful ensemble of flavours (which is very nice on the palette). We love mango as this is high in cancer-combating antioxidants and is an awesome fruit which helps with keeping skin clear and keeps us glowing! We are all about ‘good fats’ here at Haleo and thanks to the avo and the nuts we are ensuring that you get these too! In small sauce pan with 1 tsp. of coconut oil on a low heat, we gently toast the nuts for a few minutes which gives the dish a lovely crunch. Place walnuts in a small bowl and using a fork, gently crush. 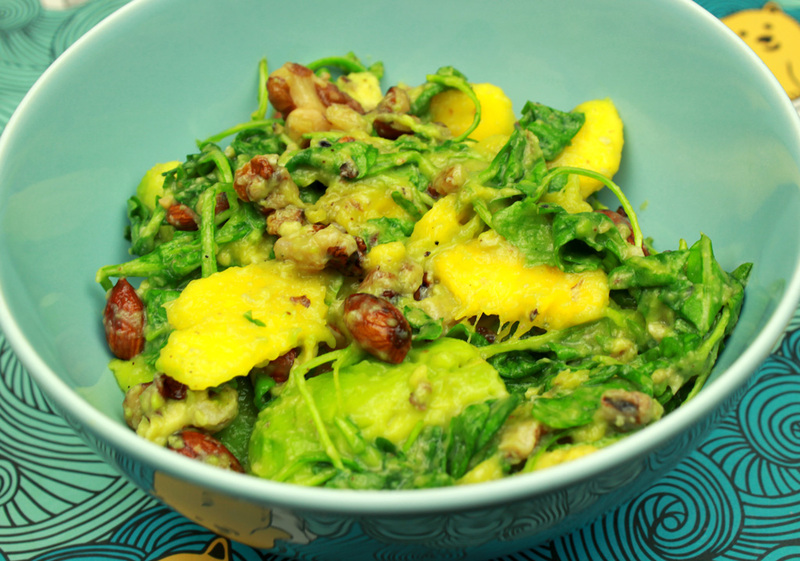 Pour melted coconut oil over the crushed walnuts, add lemon juice and mix together (this acts as the 'dressing'). 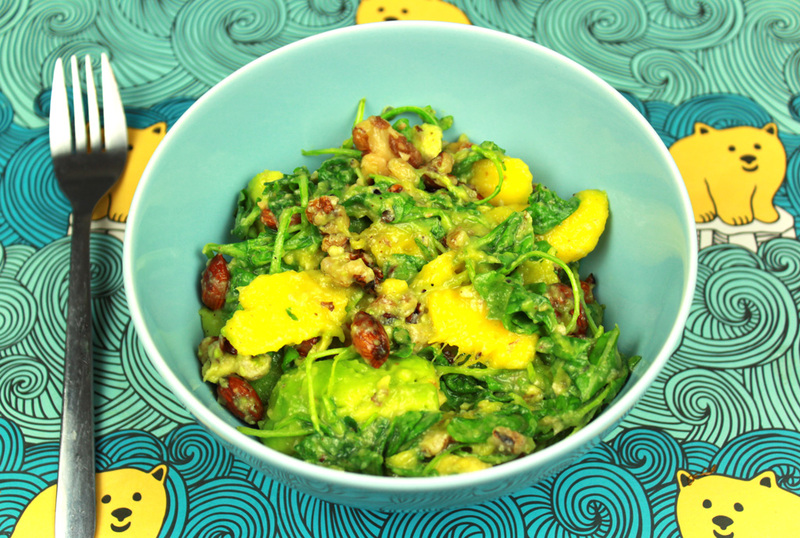 In a large salad bowl, add the rocket, sliced mango and avocado, toasted almonds, then the dressing. Toss well, add salt and serve.